When accessing the Windows 8 Advanced Startup Options (ASO), I am expecting to see a menu option called Troubleshoot – see screenshot (from Microsoft). 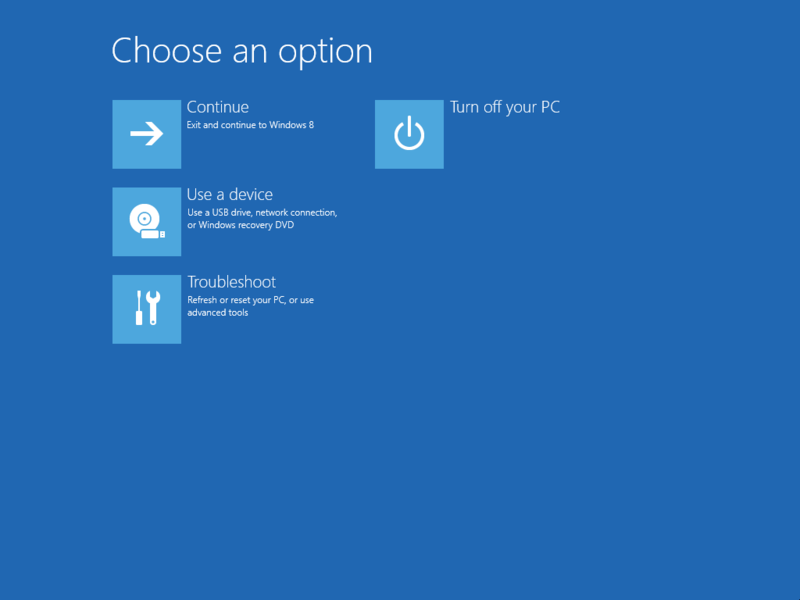 ..but when I access this screen on my brand new Windows 8 XPS12, the Troubleshoot menu item is not displayed – see screenshot. This is contrary to standard Windows 8 functionality. I would be grateful for any advice on getting access to the Troubleshoot menu of Windows 8 ASO. Thanks! 1. On the Windows 8 Desktop, open the Charms Bar by moving the mouse pointer to the top right corner of the screen. 2. Click on “Settings” and the click on the “Power” icon. 3. Hold down the “Shift Key” and click “Restart”. 4. 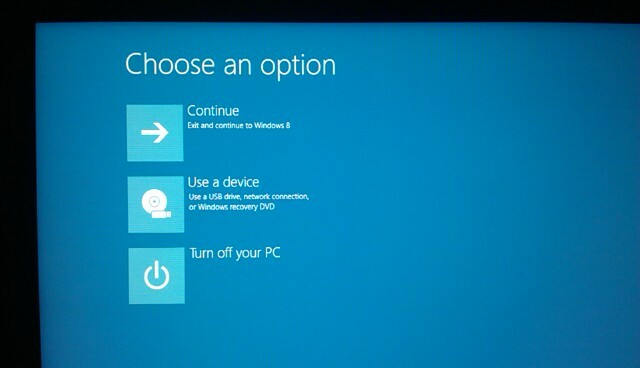 Windows 8 will load the Advanced Startup Options. Please let me know if the “Troubleshoot” icon appears. Those are the steps I followed in order to get the screenshot posted. 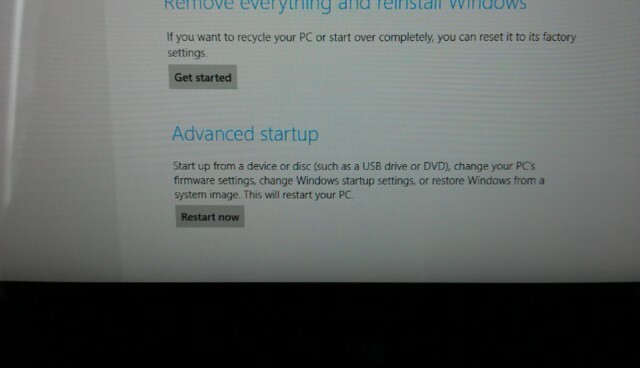 I also tried the Advanced startup method via PC setting (see screenshot) and the shutdown /r /o CLI method. All result in the same screen, all missing the Troubleshoot menu item. Thank you for your reply and for providing an update on the status. Please provide the screen shot of Disk Management window and the reason for accessing the Troubleshoot icon. Curiously, I was on the phone to Dell technical support last night and, during the call I had reason to go into the advanced startup options and there it was! Troubleshoot. No idea what I did or why it was suddenly there but there it was. Of course, I congratulated the agent on a job well done! i have the same problem of troubleshoot icon missing in advanced setup in windows8 in dell inspiron laptop.i need that to install an unsigned driver. That option is definitely there (Advanced Startup Options > Troubleshoot > Advanced Options > Startup Settings > [Restart] > Disable driver signature enforcement) but I'm afraid I still do not know why the Troubleshoot option suddenly became available. There are some additional boot options (though, not this driver enforcement) using the System Configuration tool (msconfig.exe). Maybe this might take you some way forward. This is my first time posting in a forum but I have not been able to resolve my issue. My windows has been recently upgraded to windows 10, and before it has a chance to get to the login screen it goes blank. i have used the installation usb to access advanced options but unfortunately I do not see "Startup Options" although everything else is listed. DiskPart shows my volume as E:\ i'm guessing because my system rese is showing as C:\ due to the fact that I am using a recpovery usb. Please Help, my Drive depends on it. And this is a brand new hard drive, so no it has not failed. It was perfectly fine before the upgrade. Windows is not allowing me to return to the previous build neither, as i was thinking it had to do with a hardware compatibility issue.